Picture this: You’re on the road with your family, heading north to visit Lake Superior at Duluth for the weekend. All’s well until you stop at a family restaurant for lunch. As you turn into the parking lot, a vehicle comes racing around the corner of the building expecting a clear path and rams right into your front fender. Do you know the proper way to handle this situation? Obviously, no one wants to get into a car accident — on vacation or not. But it’s something we should all be prepared for because collisions can happen at any time. Below, we’ll outline the right way to handle such an accident immediately after the event, and we’ll also outline the claims process so that you know exactly what to expect and prepare for. Start by ensuring that your vehicle is in the safest place possible. Get it off the road or out of the flow of traffic, turn off the engine, and put your hazard lights on. Make sure that everyone in your vehicle is safe. If you need to, call emergency medical services at once. You also need to contact the police. This is true even for minor vehicle accidents. Now it’s time to get out of the car and gather information about the accident (as long as it’s safe to do so). This information is for you, the police, your insurance company, and any legal actions that may come out of the accident. Take photos, write down the names and contact information of the other drivers, get their insurance information, ask for the police officer’s name and badge number, and get a copy of the police report. Lastly, get a hold of your own insurance company by phone and start the claims process. But before getting carried away with optional coverage, once you have a rental car if needed, it’s time to take your car in to be looked at by a mechanic. Is your car insurance policy in good shape? Will it protect you in the event of a serious collision? If not, speak with a Noah Insurance agent today to learn about your policy options. 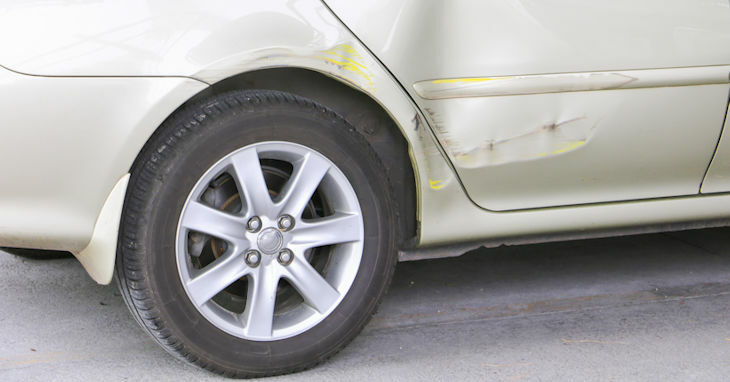 Only a sound insurance policy can truly protect you after a major car accident.